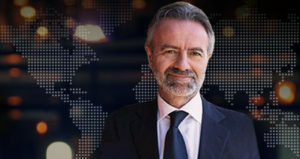 NeuroCog Trials (NCT), a clinical technology and research services company dedicated to supporting global drug development, announces the addition of former AIFA Director General, Dr. Luca Pani, as Executive Director of Global Medical Innovation. Dr. Pani will guide the company’s development of innovative solutions for clinical trials methodologies and health outcomes. During his tenure as Director General of AIFA, Dr. Pani pioneered several new approaches to drug approval, pricing and reimbursement strategies by using advanced informatics to follow and certify real-world data. These models are now being used in many other countries. As a European Regulator, Dr. Pani has not only been a leading figure for the Approval and Scientific Advice for Central Nervous System products, but also has served as Chair of the Telematics Committee. While in AIFA Dr. Pani worked on the approvals of pharmaceutical products in a broad range of all therapeutic areas including oncology, immunology, cardiovascular and CNS disorders. “I am privileged to have someone with Dr. Pani’s extraordinary background and expertise in regulatory, academic and industry science come to NeuroCog Trials as we expand the breadth of solutions we offer for clinical trial methodologies. Dr. Pani will have an immediate impact and provide deep insight and perspective into our development of innovative strategies for transforming the current landscape,” said Co-Founder and CEO, Dr. Richard Keefe. NCT offers clients global and regional study design strategies, protocol advisory and measure selection services as well as technology solutions that maximize opportunities for success by adhering to the highest scientific principles and regulatory standards across all clinical phases. Dr. Pani’s expertise innovating health economics and outcomes research will become a central element of NCT’s services. Dr. Pani is the author or co-author of hundreds of publications and is an internationally recognized speaker at scientific meetings and conferences. He is also professor of Psychiatry at the University of Miami. In addition, his most recent book, Sustainable Innovation: Medicines and the Challenges for the Future of our National Health Service has been published to acclaim. He has served on the editorial boards of many prestigious scientific journals including Clinical Neuropsychiatry, Italian Journal of Psychiatry and Psychotherapy, and the Italian Edition of the American Journal of Psychiatry. He received his medical degree from the University of Cagliari, psychiatry degree from the University of Naples and completed post-doctoral training in molecular biology and pharmacology at the University of Illinois and Georgetown University. NeuroCog Trials (NCT) is a global cognition and clinical assessment services and technology company devoted to applying rigorous standards for key endpoints in multi-site clinical trials in many different indications. NCT has provided consulting, site screening, rater training and certification, translation, and data services for more than 100 clinical trials in over 25 countries. Founded in 2005, NCT is a privately held, certified woman-owned business, headquartered in Durham, North Carolina.